When you are new to skin care, the target is usually acne or pimples and once you get rid of that, the next obvious problem is dark spots and blemishes. This is the purpose for grabbing Niacinamide from The Ordinary. 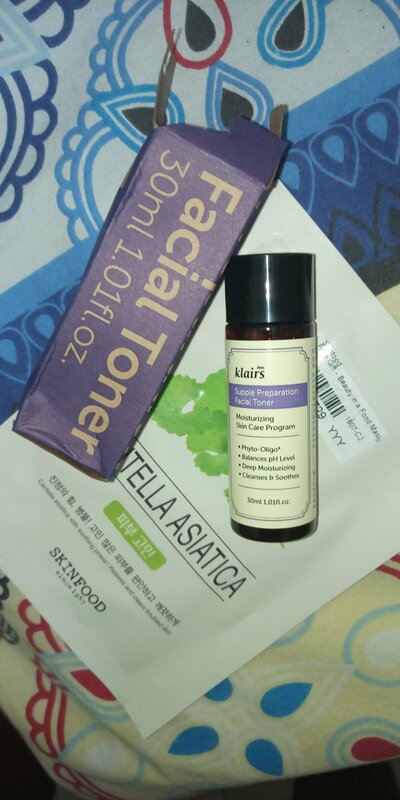 I got these to test them because Klairs is such a popular brand and the supple preparation toner is a huge bandwagon for a lot of K beauty lovers. I know enough around Korean skin care but the one thing about that routine is to understand the purpose of each product before plunging into it if you don't want chaos. In that regard, I got the mini size and have been using it for the past few days. I find it a bit thicker and you use your palms to apply. I may probably be so used to the Thayers toner because I don't find the Klairs easy to work with when it comes to layering other products. Everything I apply, either via patting or rubbing, doesn't sit without balling up or pilling! I'll keep using it though till it is empty because I need to allow it a substantial testing period before final verdict. I may try the new toner from the Klairs if I get a mini size of that too. 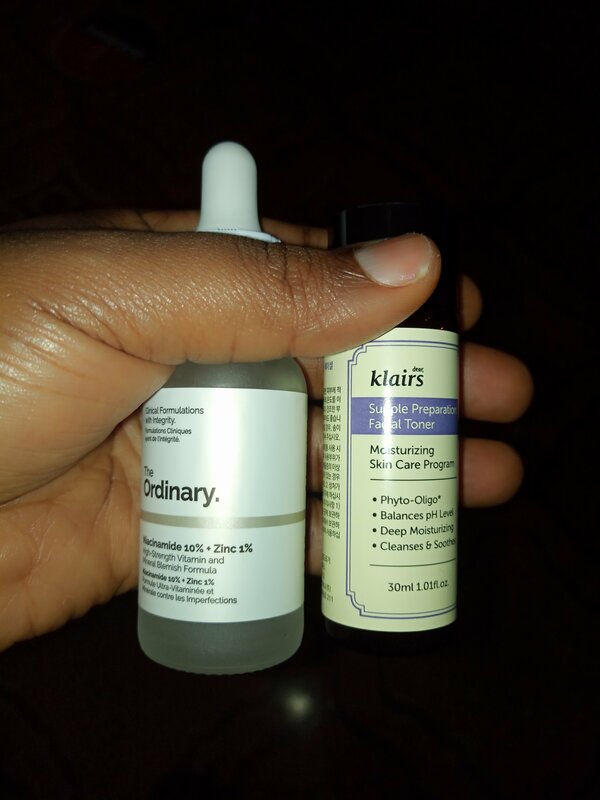 As I try this, I'm going to try the Whitehead power essence from Cosrx alongside the Klairs juice drops so stay tuned. I'm almost out of the vitamin c suspension 23% too!